White Noise: A Decade After The D-Town Boogie, Dallas Starts The Next National Dance Craze. The Dallas-Launched The Woah Is The Nation’s Next Big Dance Craze, The Free Man’s Expansion Quietly Opens, Sober’s Big Bangs Have A New Home and More. It’s been 10 years since the D-Town Boogie movement and its many dance crazes — The Dougie, The Ricky Bobby, The Stanky Legg, The Rack Daddy and so on — took the nation by storm and made names out of its earliest anthem generators. So, sure, it was about time history repeated itself. Meet hip-hop’s newest dance floor love affair, The Woah, which has broken big thanks to clips of national rap luminaries like Lil Uzi Vert going viral doing the dance and Travis Scott doing it during a recent episode of Saturday Night Live. There’s some debate over who invented the dance — described by The Fader this week as “a general bounce with arms and legs, a lock move (‘like you’re putting your car in park’) and a combination of the two, so the final result is a series of bounces, improvisations in between, and shimmied locks to the beat — but pretty much everyone agrees that it got its start here in Dallas like the Boogie crazes before it. Wanna see it in action? The below, just-uploaded clip from YouTube-famous Dallas dance crazy videographer JMoney1041 featuring (among others) 10K Cash, who claims himself to be the dance’s creator, should do the trick. 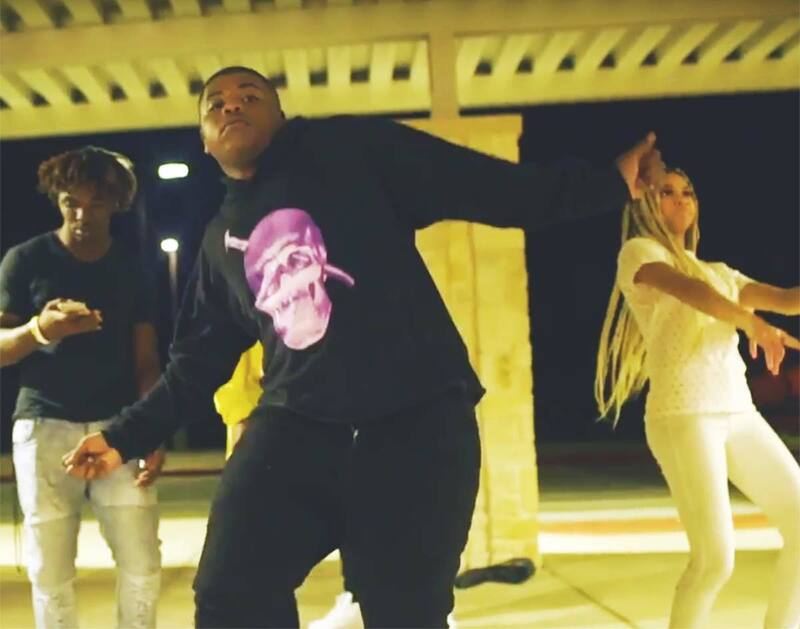 Like so many other videos featuring people doing the dance, this one is set to a track from 16-year-old Arlington rapper Splurge over the same kind of simplistic, bass-heavy production popularized by his frequent collaborator, Bedford producer Beat By Jeff. Between national dance crazes and dozens of rappers getting scooped up by major labels, we’re really doubling down on the idea that 2018 is becoming Dallas hip-hop’s biggest year on record. Apologies to 2008 and all that went down as The Boogie began to take off, but Dallas is this year facing the kind of drama that comes with being at the top that we just didn’t see way back when. What kind of drama? Oh, just one of the scene’s biggest potential breakout stars being shot during a drive-by shooting on a local highway is all. Just yesterday, we reported on the story of Yella Beezy, who was shot early Sunday morning, but was released from the hospital on Monday. The shooting of the “That’s On Me” rapper, who just recently opened for Jay-Z and Beyonce at AT&T Stadium, came just on the heels of his announcement that his debut for L.A. Reid‘s HitCo Records, Ain’t No Goin Back, is slated for a November 9 release. Could that album possibly live up to all the hype? Here’s hoping! Something else we hope is worth all the effort is the The Free Man’s long beleaguered expansion project, which has finally been completed after several months of red tape and runaround from the city. The Deep Ellum jazz club’s giant new second stage softly opened over the weekend, which is no doubt good news, except for the fact that all those delays mean the venue’s patio is going to miss its first patio season. It sure looks nice, though! In the meantime, footage of Mr. Cooper doing “Under My Wheels” from the Greenville Avenue record shop’s vaunted Astro-Turf stage has been released as an official music video, prominently featuring cartoon versions of the store and its owner Christopher Penn. 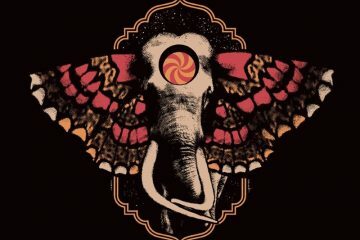 Other official video releases this week include the several we’ve posted below, starting with Pedigo’s Magic Pilsner and its “Garage Sale” clip, which recently premiered over at The Bluegrass Situation. The clip was shot by Josh David Jordan, who recently wrapped his first feature-length film, This World Won’t Break. It was shot at the home of Polyphonic Spree mastermind Tim DeLaughter’s mother-in-law, which was conveniently about to be torn down. Next up is Bobby Sessions’ video for “The Hate U Give,” which is the title track from the soundtrack to the powerful film of the same name. We’ve already shared our thoughts about the tune, which you can read in-full here. Below, check out the Tramaine Townsend-shot video. Also with a new clip this week? St. Vincent, who, you already know, recently remade last year’s Masseduction, releasing it this past Friday as an album of just solo piano and voice tracks that’s been named the slightly different Masseducation. Her video for “Savior” is similarly simplified — just her on stage with a mic and a piano player. Our next clip comes from 14-year-old McKinney resident, Lexi Drew, an unapologetic rapper claiming to be a cross between “a not-so-vicious Bhad Bhabie and a trippier urban Bille Eilish.” Seems she doesn’t like being told what to do. Another newcomer worth keeping an eye on is Hello Shannon, whose material has already received a little airplay on both KXT and on ALT 103.7-FM‘s “The Local Show With Mark” ahead of her album release this Friday, October 19. It’s pretty clear that a lot of time, travel and money went into this clip for her single “Wanderer,” but it’s worthy of the effort. And just in time for Halloween, the exciting young Dallas trio The Bralettes picked a fine time to debut its very first music video, especially since it clip features the band in all kinds of spooky outfits, ranging from ghosts to vampires to witches. Meanwhile, The Rolling Stones not only have a song called “Dead Flowers,” but they also have another about how they can’t get no satisfaction — and now so too does the Dallas band Dead Flowers, even if the track, off their new album, sounds more like The Replacements than The Stones. Anyway, says the band, they only spent $4 making a video for the song, which they spent $1,000 recording. That move, they continue, is a statement about how people don’t spend a dime downloading singles anymore. Keeping the video train rolling, recent AMA winner Post Malone followed up his appearance on The Tonight Show from a couple weeks back by taking host Jimmy Fallon out for his very first Olive Garden experience. While hilarity theoretically ensued in that clip, it more does so with more prevalence in the following clip, wherein Posty goes undercover to talk trash about himself at a record store as a promotional push for a charity raffle of a new Bentley vehicle that he’s doing with Omaze. Also on NBC of late, a trio of other North Texans have been competing on this season of The Voice. Crowley’s Joey Green was eliminated on last night’s episode, losing a head-to-head battle with his fellow member of Blake Shelton’s team, Fort Worth musician Michael Lee. And, just like those two, Katrina Cain of the Denton band Tomkat was also scooped up by Shelton on last night’s episode. A few clicks up the dial, meanwhile, Kacey Musgraves was the latest recipient of Ellen‘s patented scare pranks, as a Hannah Montana impersonator decidedly freaked her out. • Steinway Hall is closing its Fort Worth location, liquidating its inventory of unique pianos at deep discounts this weekend (October 18 to 21). • David Wilson, the Double Wide soundman who recently announced he’d be stepping down from booking shows at that Deep Ellum venue even as he continues to engineer the room for live shows, has revealed that he is taking over booking and other duties at Bishop Manor rehearsal studios — including teaching some monthly classes on lighting and mic building. Neat! • While in the region for their show in Fort Worth, the massive K-pop boy band BTS apparently rolled through Deep Ellum for some sightseeing, only to get caught in the rain and seek shelter at Kettle Art, where one of its members decided to buy up about $1,000 of art on a whim. D Magazine has more here. • And, finally, it seems DJ Sober isn’t quite done with his Big Bang parties just yet: After announcing in July that his seven-years-running weekly was going to be ending its time at Beauty Bar, Sober announced this week that it would be returning this Thursday, October 18, at the Double Wide as a “pop-up,” which is something he’s been into of late. 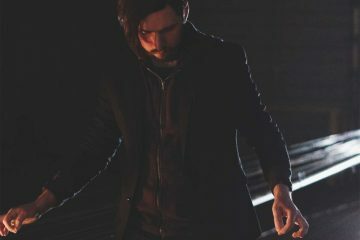 Whether the party becomes a regular event at the Deep Ellum spot, either as a weekly or perhaps as a monthly, will be determined after seeing how Thursday’s event goes, Sober says. Cover photo via YouTube. Got a tip for White Noise? Email us! Previous ArticleGas Pipe Owners Acquitted Of Federal Drug Charges.